I have lived in Nordic countries for around eight years. When I visited Finland for the first time, there were not many Chinese people living in the country. The biggest group was Chinese students, and the Chinese business community was very small. In most circumstances, the term “Chinese companies” referred to “Chinese restaurants” or “Made in China” factories far, far away. This is not the case anymore. Chinese outbound investments have been increasing consistently for years. The main target countries have traditionally been and continue to be the USA, UK and Germany. However, Finland has received more attention in recent years. A few examples of Chinese investments into Finland include Huawei, ZTE, the Bank of China and the recent Kaidi biofuel factory in Kemi. Chinese high-technology companies are investing in Finland more each year. The relationship never flows only in one direction. Compared to the increasing Chinese attention toward Finland, Finland has already begun to pay much more attention to China. Over the past ten years, China has transformed itself from the world’s factory into one of its biggest markets. As is the case with companies from all western countries, Finnish companies also want to gain a foothold in the market. However, entering the Chinese market can be challenging. Many Finnish companies feel it is very costly and risky to enter the Chinese market. Due to the huge cultural differences between Finland and China, it can be difficult for a Finnish company to enter China and win over Chinese customers alone. Moreover, Finnish companies also have difficulties finding a good, strongly committed local partner. The key to answering this problem is right outside ­­– the Chinese companies in Finland. Most Chinese firms located in Finland are strong ones, who have the capability and commitment to be the bridge between Finnish firms and the Chinese market. Chinese companies have two main reasons for investing outside of China: expanding their business into Europe and acquiring new technologies. Finland is a great choice for both reasons. Finland is a fairly small market but a great test place for market entry. This makes Finland a bridgehead for Chinese firms who are planning to enter the European market. More importantly, Finnish innovations are very attractive to those who are interested in new technologies or upgrading their own business in the Chinese market. Chinese companies are trying very actively to invest and cooperate with Finnish technology firms. This brings great opportunities to Finnish firms who would like to enter the Chinese market. There are several ways for Finnish companies to go about achieving these goals. Growth capital from China is one viable option. In this case, Chinese investors not only provide financial support to Finnish startups but also valuable advice and other resources for entering the Chinese market, in order to maximize the value of their investment. A strategic alliance or licensing agreement with Chinese companies in Finland is another option. Since the Chinese partner is located in Finland, the cost of communication is less. The Finns can concentrate on their core business, leaving the marketing and sales burden to their Chinese partners. After all, it is much easier for the Chinese to deal with marketing and sales in China. Faster expansion is also an advantage. With the help of their Chinese partners, Finnish startups can expand their business into China in their early days and really become global-born companies. Finns should get excited about the opportunity to go global with the help of Chinese companies. By doing things smartly, Finnish growth companies can create valuable business cooperation with the Chinese, and the number of Chinese investments landing in Finland would multiply along the way. Xin Wang is a Business Advisor at Helsinki Business Hub. 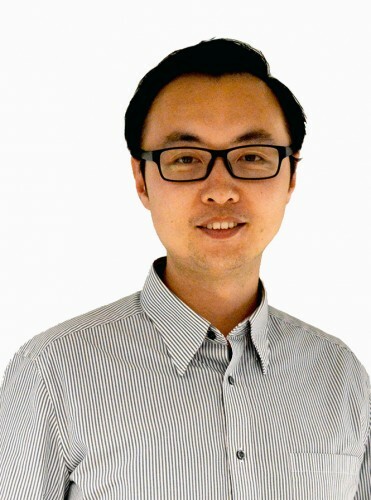 Xin is a Chinese citizen who has found a home in Helsinki and believes that embracing Chinese cooperation is a great way to accelerate the growth of Finnish companies.